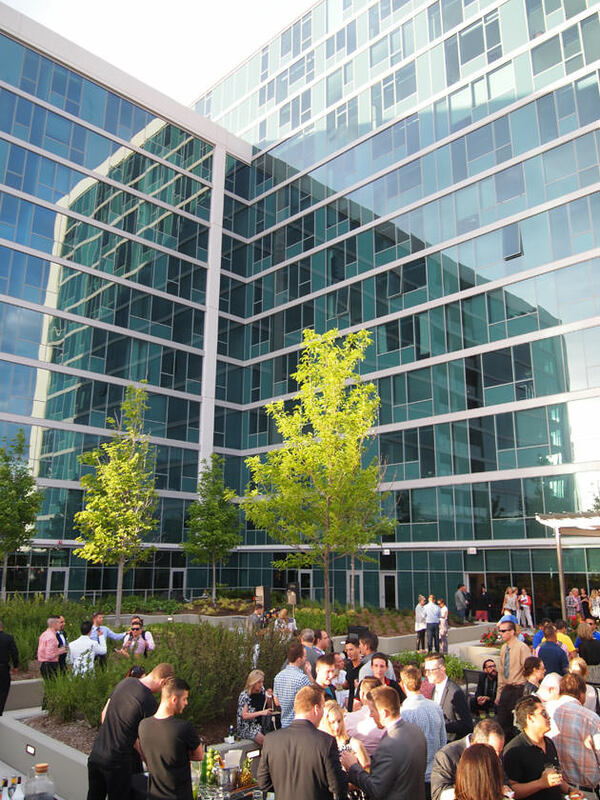 Halsted Flats celebrated its grand opening with a summer soiree that showcased its expansive rooftop deck and amenity spaces. Co-sponsored by Chicago Social magazine, the event was held in recognition of the successful launch of Lakeview’s newest luxury apartment development. Guests enjoyed summer cocktails, chef tastings, music entertainment and an interactive photo booth amid the property’s club room, exhibition kitchen and 20,000 SF roof deck. Initial occupancy of the 15-story, 269-unit apartment tower began in Spring 2014, and leasing activity has been brisk.